Hey y’all! Happy Wednesday! I know it’s been a minute since I’ve posted on here (work has been cray and this moody weather is interrupting my shooting schedule) but I’m back. And even though a LOT has happened in the world of fashion and blogging *cough, cough, Revolve and H&M**, I think I’ve talked about that enough on Instagram already. So let’s get back to the real reason why y’all are here: this outfit. More specifically, my awesome fanny pack! 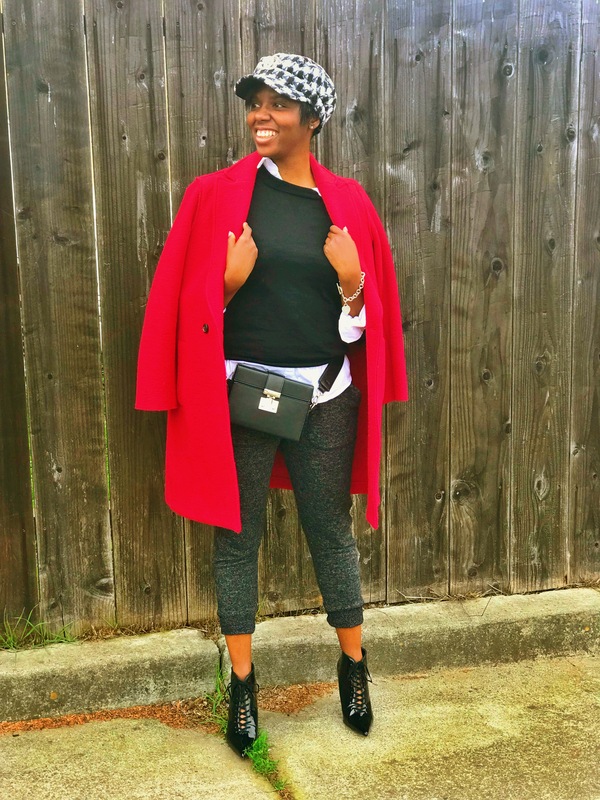 When I first decided to style this fanny pack, I immediately thought joggers. At first, I was going to wear my denim joggers from the summer. Meh. Then I thought about camo joggers but I couldn’t find any that I loved. Then I thought about just doing black jeans. I mean, I guess that would work. When all hope was lost, I found these heather black joggers at Urban Outfitters. Yesssss! Full disclosure: I love Urban but I almost NEVER go in there. Well played, Urban. Well played. Since I didn’t want to do a “basic” jogger look even with the addition of the fanny pack (you know, with a blazer and a tank top), I forced myself to be a bit more creative. Even though I’m not a huge fan of more preppy/traditional looks, my experience working at J.Crew gave me a new found perspective on it. Who says you can’t wear a button up and a crewneck sweater with joggers to dress them up a bit?! 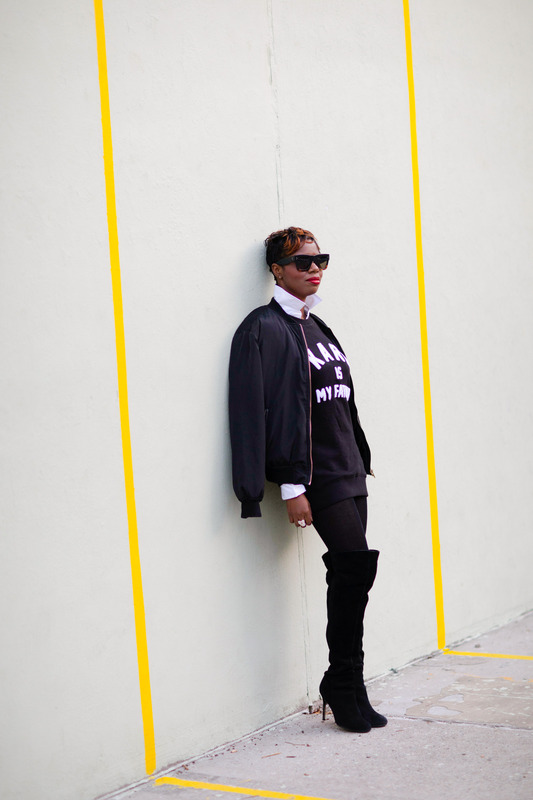 Personal style is all about experimenting with different aesthetics. I just happened to do it in one outfit. 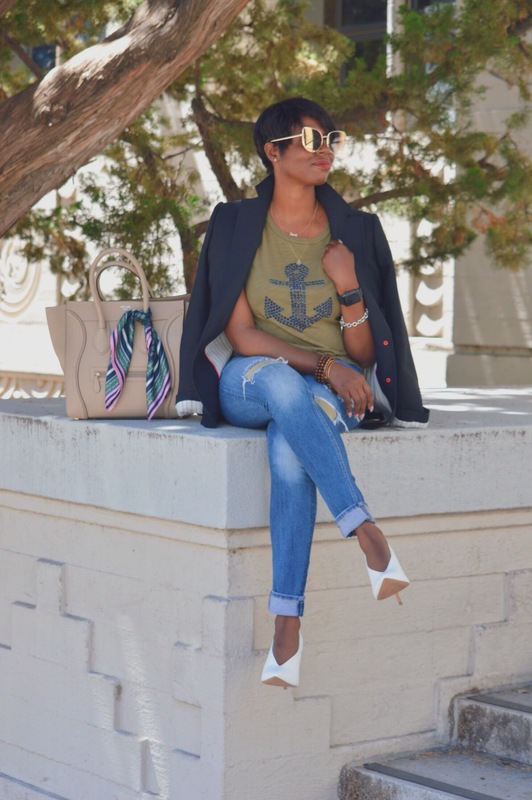 I layered a classic button up white shirt with my black Tippi sweater for the top portion of this outfit. Since this look is black and white, a pop of color was very necessary. So I reached for my beloved red wool coat. You’ve seen me wear this coat day in and day out this fall and winter because I ABSOLUTELY LOVE IT. It’s the coat I never knew I needed. And if you would have told me that I would buy a red coat last summer, I would have laughed at you! But it’s incredibly versatile! Since I wear so many neutral pieces, it’s the perfect pop of color for any outfit. And I always get compliments on it when I wear it. Finally, we have the accessories: the exclamation point on any outfit. These patent leather lace up booties were a recent purchase that I am obsessed with. I’ve worn them with my boyfriend jeans and my teddy bomber jacket to glam up my jeans and a T-shirt look. And for about $50 these were a steal. I’ll definitely have these for years to come! To complete my look (and to cover my grown out roots), I added this houndstooth cabby hat. My hat obsession is real! I’m up to about 5 newsboy/baker boy hats now…and counting! And for an added touch of glam, I pinned my beloved Chanel brooch to the front center of my hat.